The British monarchy is the most powerful house in the entire world. Yet, it's still not immune to family problems. It's not something to exploit, but the royal feuds have certainly shaped the history. Lady Diana's influence remains strong, as we never get enough of learning more about this remarkable woman. The current generation of the royals is also making headlines because of their feud rumors. Everyone's favorite 'Fab Four' is falling apart, as Meghan and Harry are set to relocate from Kensington Palace. 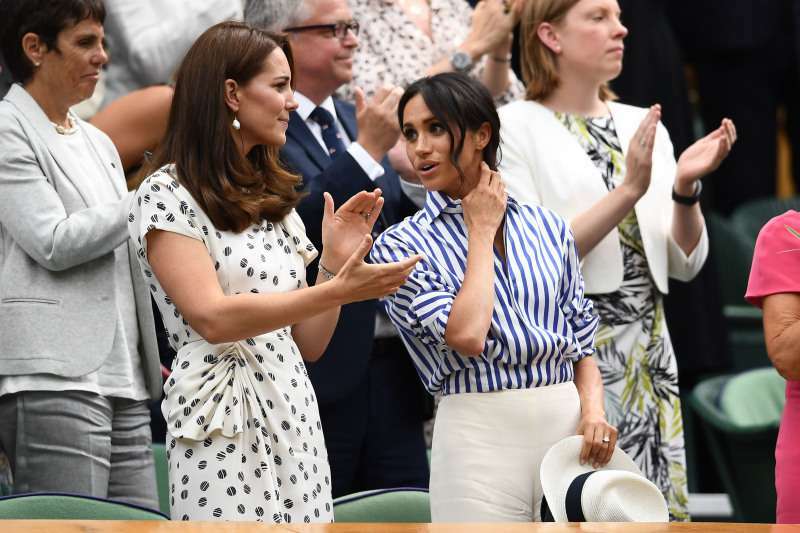 The rumors are brewing that the Duchesses are not on fair terms with each other. However, the two ladies are always seen interacting nicely during their public appearances. Jeremy Paxman hosts a new series on Channel 5, exploring the frostiest relationships between the Queen's children. The broadcaster will also be peeking into the lives of their spouses, including the late Princess Diana. He discussed the contents of Princess Diana, Princess Anne: Documentary with Daily Mail UK, claiming Diana and Princess Anna didn't get along at all. I remember Diana saying 'if Anne's there I'm off' because Anne would usually say something rather cutting to her. The royals' significant presence in the media has made them prone to many conflicts. In the book William and Harry released by Katie Nicholl, she narrates the story about William being caught partying in a pub in 2002. He escaped with only a warning, and Prince Harry minded how he is blamed for everything, whereas his brother got away scot-free. The two were barely on speaking terms with each other after that. After years of constant clashes, they are still going strong. The monarchy is as strong as ever, and we wish for nothing more. Share this if you believe in the royals' endurance.